After the recent plane crash in the Hudson, I followed the story like everyone else on my radio and television. The first photos came from iPhones. When little was said to be known about the Pilot his resume was posted from LinkedIn. Video, tweets and all flowed into the main stream of news networks around the country. You may have found out about it from NPR, but it will only be a few months before you are more or less forced to upgrade to mobile devices that will keep you more connected than ever before. So you can see the importance and power of this democracy of information. When you start to think about it for your museum or cultural institution, it seems exciting. Posting videos, alerts about upcoming events, and eblasts- oh the possibilities! But with these possibilities come questions. Mission, and Face, and control of the message. These are real problems that institutions have to consider when they begin the process. If you are new to the social media thing as an institution then the best place to start is the Brooklyn Museum’s blog. The excitement of what can be done with SM is immediate. The content is rich and intriguing. It is the perfect length and leaves you wanting more, but happy you didn’t have to read it. Look hard at who your institution is. Are you poised to be a part? Do you have leadership that understands it, and is supporting it? Can you make it happen in your department first? Is it easier to ask forgiveness than permission? Answers of yes for the three essentials can get you started. 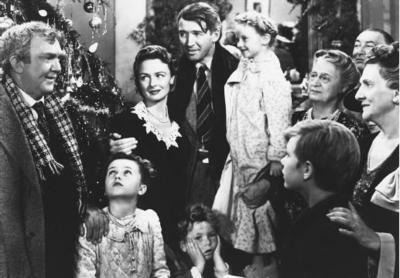 The global financial crisis at hand has me thinking of "It's a Wonderful Life." No, I'm not about to jump off a bridge. I'm thinking that this is a more important time than ever to solidify the types of relationships that will save your bacon when six grand goes missing. Everyone in the np world knows that economic woes trickle down in a big way. And there are plenty of gloom, doom and what-next stories out there about what this financial crisis means for arts organizations. It's scary enough to drive an otherwise sane arts organization out in to the snowy night, desperate for a solution and a glass of something strong at Nick's. Sure, we could act like George Bailey. We could scurry into Mr. Potter's office and beg desperately for crumbs. And we could decide to just cash out - burn the whole place down, so to speak, for the insurance money. Or - we could act like Mary. When the crisis came, Mary got on the phone. Mary reached out. Mary rallied the community. These weren't your big donors - your Sam Wainrights and your Mr. Potters. These were the neighbors who could each pitch in just a little, and were more than happy to do so because the Baileys had contributed so much themselves to the community. Remember when Mary averted a run on the Building & Loan by giving their honeymoon money to tide people over in their panic? Sheesh, that Mary was a smart cookie. I think cultural organizations have to get smart, too. The big donors might not be so big-hearted when their annual appeal letters arrive this year. So we've got to find other supporters other ways of reaching out, staying in touch and contributing something relevant to the community.